I am a huge fan of instagram and the photos that I have been able to take with it. In fact, some of my very favorite photos have been because of Instagram. Last month, I decided that I wanted to be able to see the photos that I take every day, and not just on my phone. That is how I came up with this idea. The frame started out not too fancy. I got it from Tai Pan years ago, and never really cared for the artwork inside of it. (Here's a tip. 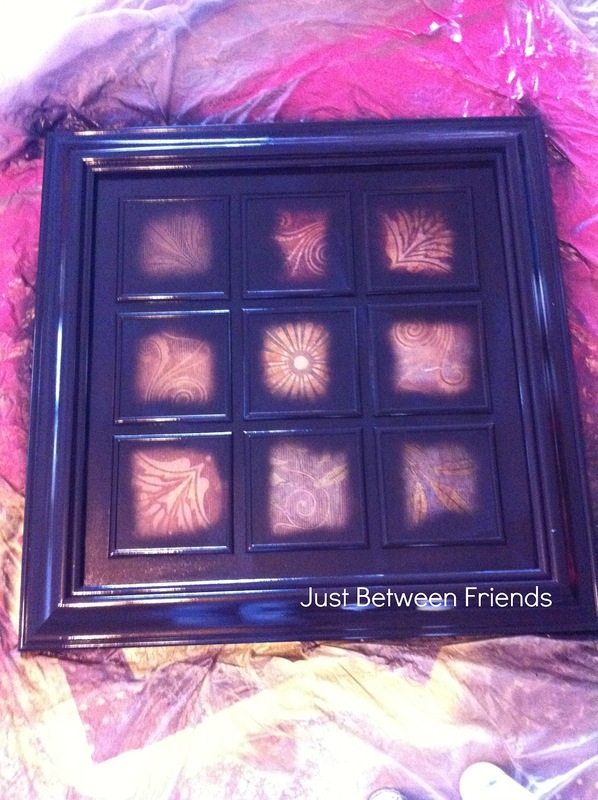 If you ever come across a square picture frame for really cheap, buy it. Seriously. You will thank me later. They are pretty rare to find at a great price.) 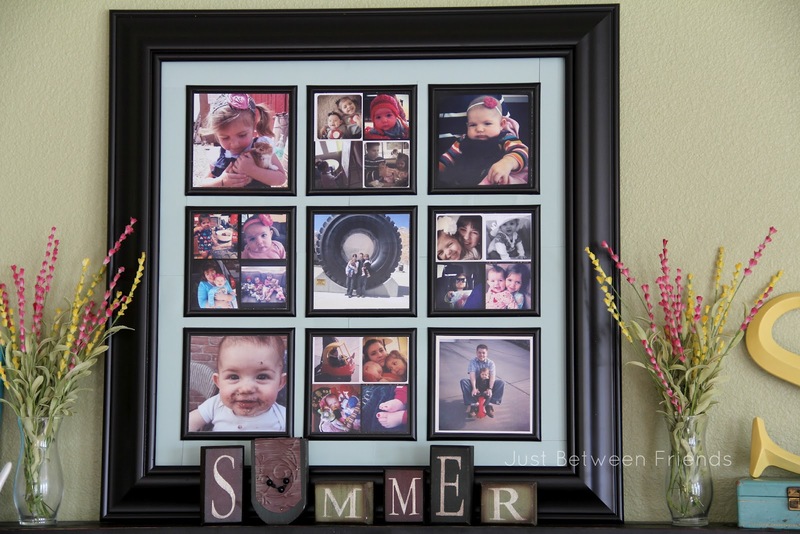 I think I paid $15 for this frame and it is huge. Like 3 feet square huge. I started out by painting the frame. I wanted the inside frames to match the outside frame and I wasn't really digging the whole gold frame look. I used some spray paint and it was a whole new frame. 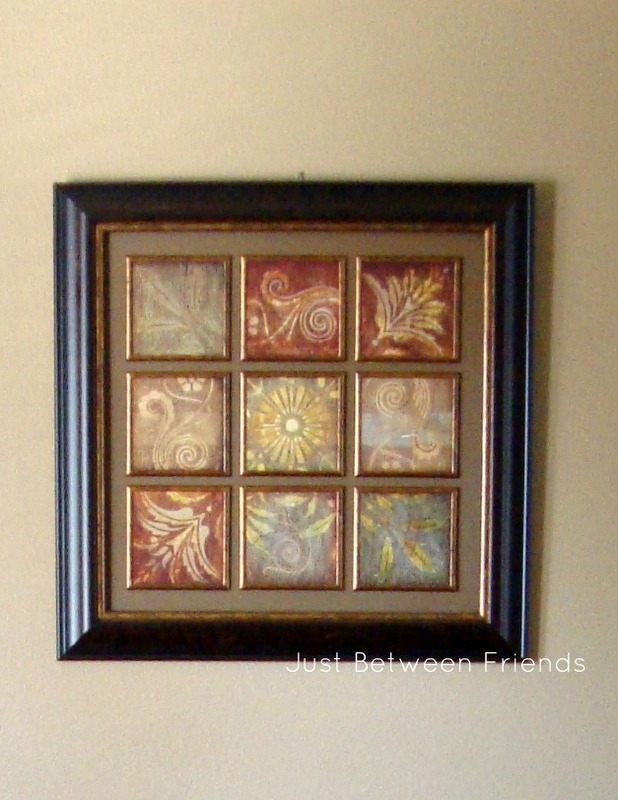 Originally, I thought that having the matting painted the same color as the frames would be a good idea. But, once I got the photos in, I didn't like it. To fix it, I cut some card stock paper into strips and put it into the spaces between the frames. I love the way it helps the photos stand out. 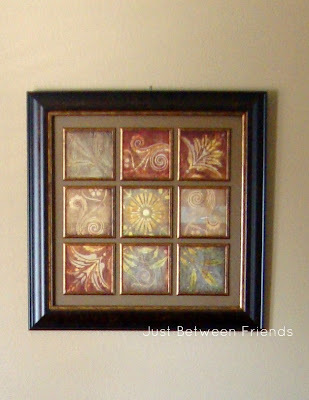 As far as the photos go, I just uploaded them to photoshop and made them into 6 inch squares. The photos that are my favorites, I made the full 6 inches. The other photos that I like were made into 3 inch squares. This made it perfect to send to costco to have it printed. I put four squares together and printed it as a 12X12 photo. It was inexpensive and pretty great quality too. The photos are just connected to the frame with photo dots, so I can change them out whenever I would like to. 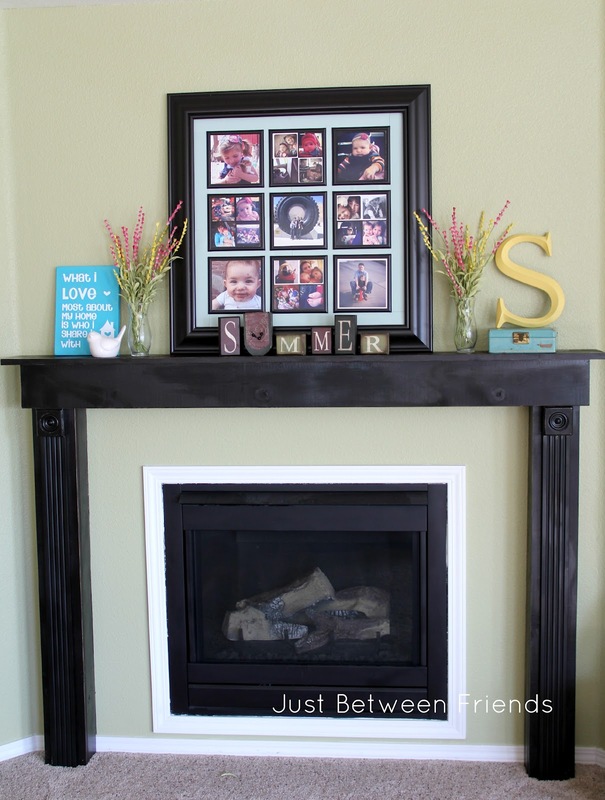 Overall, I think it is a great piece for any home, and looks really great above my mantle. It definitely is a conversation starter. It looks great! 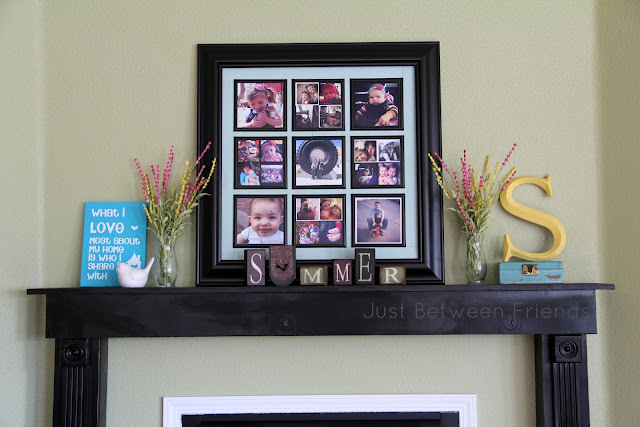 Love the yellow and blue color combo on the mantle. Sweet stuff, Jonie.